For a while now, I’ve been thinking of doing something about my viewfinder on the Sony A200. For one, I find my nose bashing up against the LCD screen and leaving oily marks. Also, I find the view a bit cramped, especially when using it for manual focus. I thought I could use something that offered a little more magnification and also increased the spacing between my nose and the LCD screen! I had a look at various forums online to try and have a look at what other people were using . Sony itself offers an option i.e the FDA-M1AM. This accessory is supposed to magnify the viewfinder by approximately 2.3x. However there were a number of issues with this. Firstly it was overpriced. 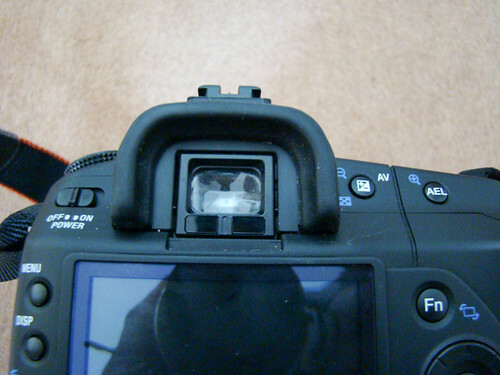 Secondly, when affixed, it does not magnify the entire viewfinder but only a portion of it. It is also quite stubby and is not ideal for everyday use. I quite liked the rounded look of the Olympus ME-1, it also slips into position on the existing eyecup. However it sits loosely and will fall off. 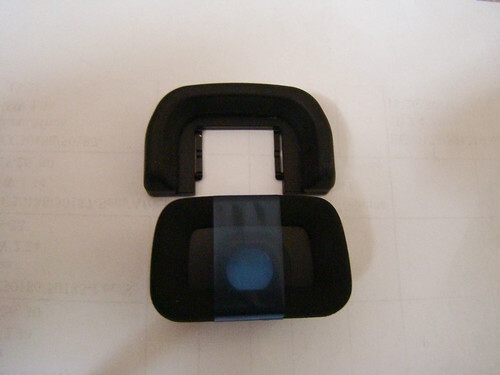 In order to fit it more securely, one may need to buy a spare Sony eyecup spare part and graft the ME-1 onto it as mentioned here. The Nikon DK-21M looked quite bulky and boxy to me, and I found people were not entirely satisfied with it. 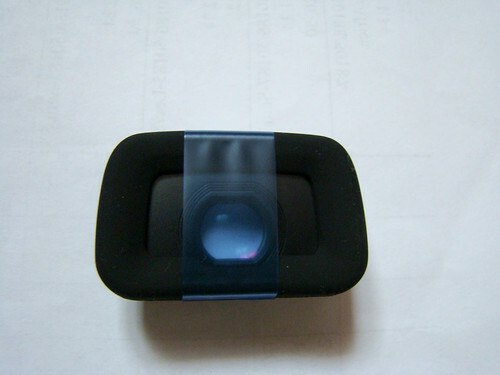 The rubber eyepiece surrounding it is quite uncomfortable and may need to be upgraded as mentioned here. The Pentax OME53 on the other hand, had scores of satisfied users on the Sony system and thus I decided to go for it. Heres a brief walkthrough as I replace the eyecups. 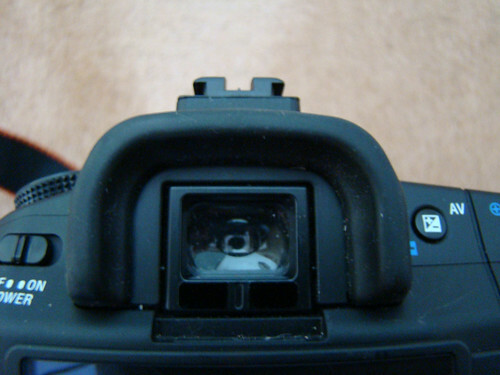 Above and below are images of the viewfinder with the existing eyecup. One can see the two small rectangles below the actual viewfinder glass. These are the eyestart sensors. One problem with adding an extra magnifier onto this is that the sensors will get covered and thus the automatic eye start will not work, however, with the Pentax O-ME53 there is a way around this. Below is the new Pentax OME53, brand new from its box. The existing eyecup (Sony FDAEP2AM) can be slid out to the top by pressing down on either side and pushing it upward to slide it off. When it is off, you can see that the round dioptre adjustment screw is fully exposed. 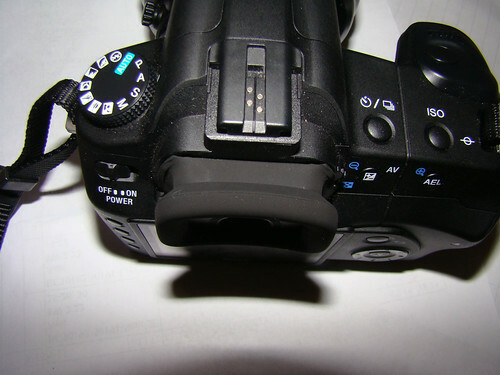 Below, is the existing eyecup (Sony FDAEP2AM) compared with the Pentax O-ME53. 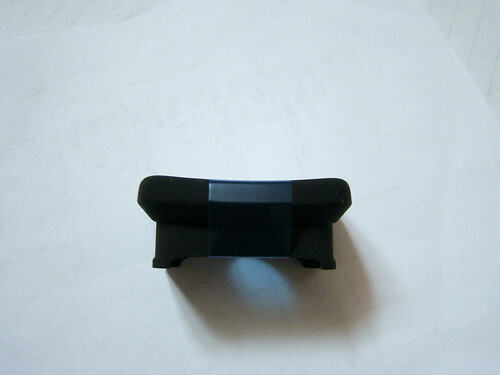 The new O-ME-53 eyepiece magnifier is then slid into the slot that the old eyepiece occupied. It goes in smoothly if you apply the right amount of force. The rubber sheath below may need to be slightly spread apart so as to not to get in the way. While sliding it in, make sure you don’t go all the way as to cover the eyestart sensors fully. 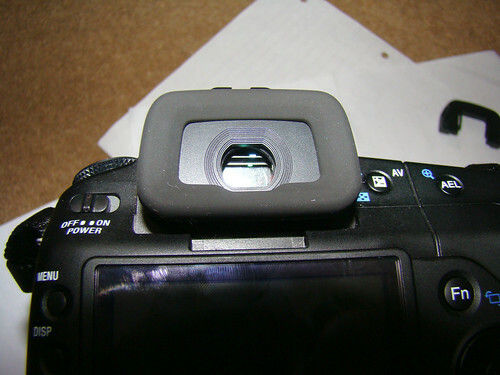 Leaving it slightly exposed will ensure that the sensors still work with the magnifier on. Once in place it sits smugly and makes a good impression. 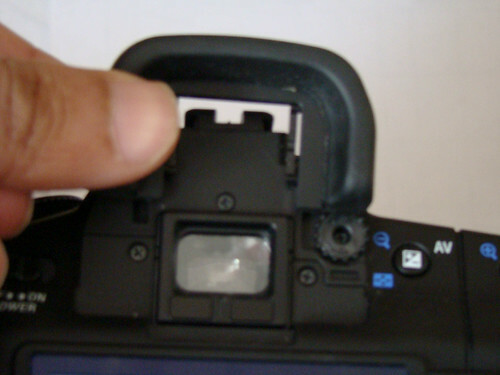 You may need to adjust the dioptre slightly , by turning the dioptre screw to ensure clear focus. Its just been a day since I replaced mine and I haven’t yet had a chance to check it out in the field but using it from indoors, I can certainly say there is considerable improvement. The viewfinder feels a lot more comfortable to use and there is a very slight magnification, which you may or may not notice. The best part though is giving my large nose a bit of room while clicking!